When it comes to Brazilian food, I can be very picky about quality and service. After the 2014 World Cup, Brazilian barbecues achieved great success in Japan—and they’re still on the rise. 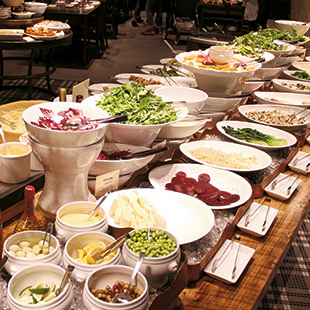 In particular, Japan seems to love Brazilian buffet courses. Like many foreigners, I’m always craving a taste of my home country. In my four years in Japan, I’ve made many nostalgia-induced discoveries of many kinds of Brazilian restaurants. 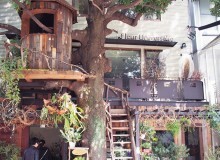 In Tokyo, there are at least six traditional restaurants in different areas, all varying in price. Churrasco, a traditional barbecue, is probably Brazil’s most famous food internationally. 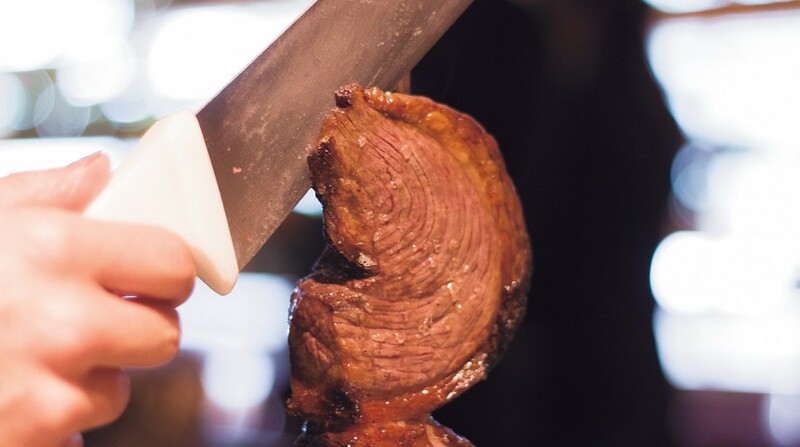 After the World Cup, Japanese media suddenly all were talking about Brazilian culture and music, and especially Brazilian barbecue—a word that derives from the Portuguese “barbacoa,” the grill on which meat is cooked. The Barbacoa Churrascaria was arguably one of the most-covered restaurants during the World Cup “Brazil Boom.” The restaurant has more than seven branches in Brazil, six in Japan, and even one in Italy. 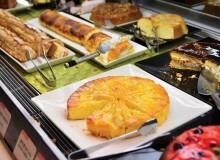 Usually, traditional Brazilian restaurants offer the rodízio—an all-you-can-eat course. 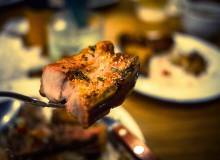 Those seeking an authentic Brazilian meal will get the most out of this. This course comes with a huge salad buffet, some tropical fruit, and desserts (which are good for vegetarians), and also includes their famous feijoada (black bean stew with pork, or other meat, and vegetables, served on rice). The rodízio comes with different cuts of meat cooked on skewers, which are then finally sliced right there at the table. This allows guests to tell the waiter exactly how they like their meat cooked. The staff are welcoming; some can speak English and even Portuguese. The all-you-can-eat course’s price varies with the time of day. I would recommend a visit during lunchtime on weekdays, when the entire course—including the salad bar, dessert buffet, drink bar, and churrasco—can all be had for ¥3,600 plus tax. A dinner course at Barbacoa will cost ¥5,400, and comes with the churrasco plus salad bar (omitting the drink bar and dessert buffet). So far, Barbacoa gave me the best Brazilian dining experience outside of my hometown, serving plenty of Brazil’s comfort food. Because some of the branches are rather busy on weekends, it’s always better to make reservations at least one week in advance.